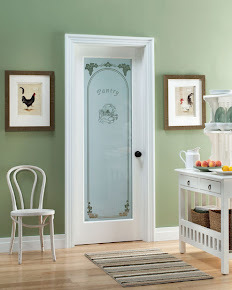 Feather River Doors offers a wide range of fiberglass exterior and patio doors with decorative glass, and wood interior doors with decorative glass, most noticeably via the Home Depot. Find our newest updates on our blog. 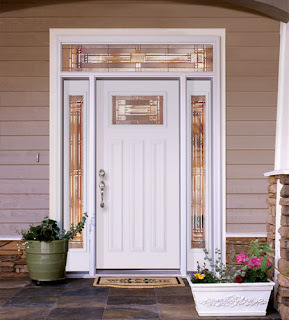 Even hard-wearing fiberglass entry doors and exterior doors need to be protected from the elements. 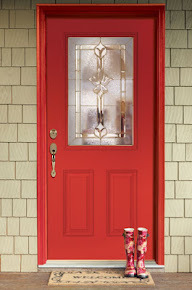 To keep your entry door or other exterior doors looking beautiful, be sure to take a little time to care for it. Applying a coat of protective polyurethane with UV inhibitors to protect the finishes on your entry door or other exterior doors will help. Here is our refinishing instruction and other resources (1, 2, 3) to give you guidance. © 2018 Trinity Glass International, Inc.
Feather River Doors was featured on Fix This Yard on A&E!